Information is a fairly open commodity in today’s developed world. The passage of information in the form of academic literature, media, interpersonal communication and governmental disclosures are fairly commonplace and we have come to rely on these things to bring up to date on recent trends and world news. The twentieth century relied on similar means, notably through media such as newspapers. 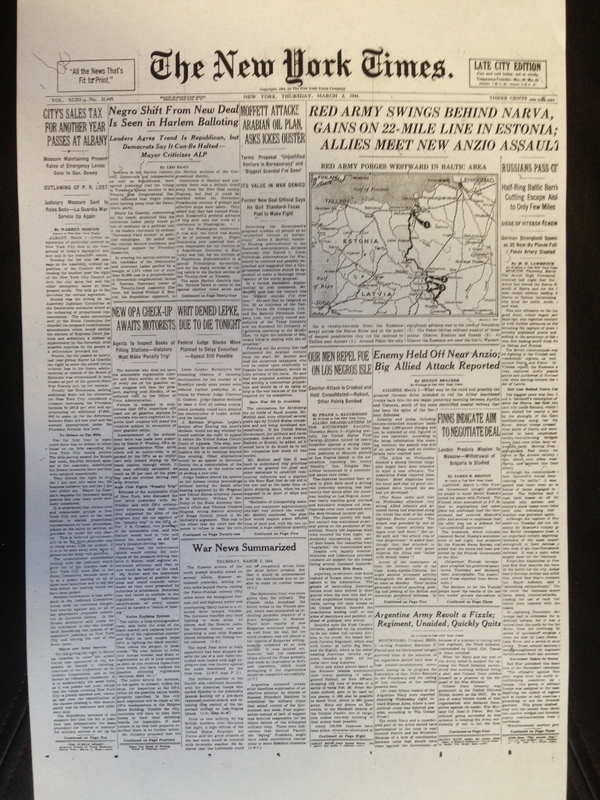 Much of the globe’s news was delivered in this format, especially during the Second World War. Since so many people relied on this form of media for their understanding of international events, newspapers held considerable power to determine what would penetrate the public consciousness. With this said, if the loudest voices in the world were aware of an unimaginable crime such as the Holocaust, why would they remain silent? The purpose of this paper is to understand the decisions and actions that lead to an under representation of the Holocaust in news articles during the mid twentieth century. It will focus primarily on the most visible sources of print media including The New York Times. The New York Times has long been an important voice in American media. Beginning in 1851, the Times has been a source for international as well as domestic news, making it appear to give a holistic view of issues important to Americans and indeed the western world. For example, the Times edition posted on March 2, 1944 reported a variety of issues, including the progress of the war in Anzio, Italy, as well as the Soviet’s progress in retaking their former territory. The paper also describes the War Manpower Commission’s work to establish veteran information and service centers in New York, and the progress of important legislation. However in this same issue, buried on page four, along with 13 other stories, is a short article. It read: “Last month we still reckoned the number of Jews in the whole territory of Poland as from 250,000 to 300,000. In a few weeks no more than 50,000 of us will remain. In our last moment before death, the remnants of Polish Jewry appeal for help to the whole world. May this, perhaps our last voice from the abyss, reach the ears of the whole world” (Leff 1). March 2nd was an otherwise typical day for the Times. This issue was published before the American invasion at Normandy, the battle for El Alamein, or Stalingrad. Though the war was certainly an important article of news to cover, it was not essential enough to monopolize front page articles at the expense of other topics, notably the capture and destruction of Europe’s Jews. From the start of the war on September 1, 1939 until its end, roughly 6 years later, the Holocaust made the front page 26 times. Of these articles, six identified Jews as the primary victims. Commonly, the victims were often referred to as refugees, persecuted minorities, or prisoners of war. Two potential reasons stand out as to why the Times did not choose to give the Holocaust significant front-page attention. Perhaps the information was difficult to obtain, and perhaps it was difficult to verify the accuracy of the reports. Certainly, news stemming from Germany and Russia tended to be closely watched and censored by local governments. Much of the information, especially regarding the Holocaust, would be concealed from journalists. Despite the difficulty of obscured information and hostile governments, enough information made it to the Times to create a readable and understandable narrative as to what was happening to Europe’s Jewish population. Times articles would reference “anti-Semitic laws in German allied countries; death from disease and starvation of hundreds of thousands in ghettos and labor camps in Eastern and Western Europe; and mass executions in the Soviet Union and mass gassings in Auschwitz, Treblinka, and Maidanek” (Leff 3). The articles also gave merit to the idea that these incidents are related to a greater German plot to eliminate Judaism from the European peninsula. Though the information was certainly known by reporters and editors from the Times, one could argue that the stories are unverified and could be exaggerated. Author Walter Laqueur asserts that the Times would have certainly jumped on the story of the Holocaust if given the chance. 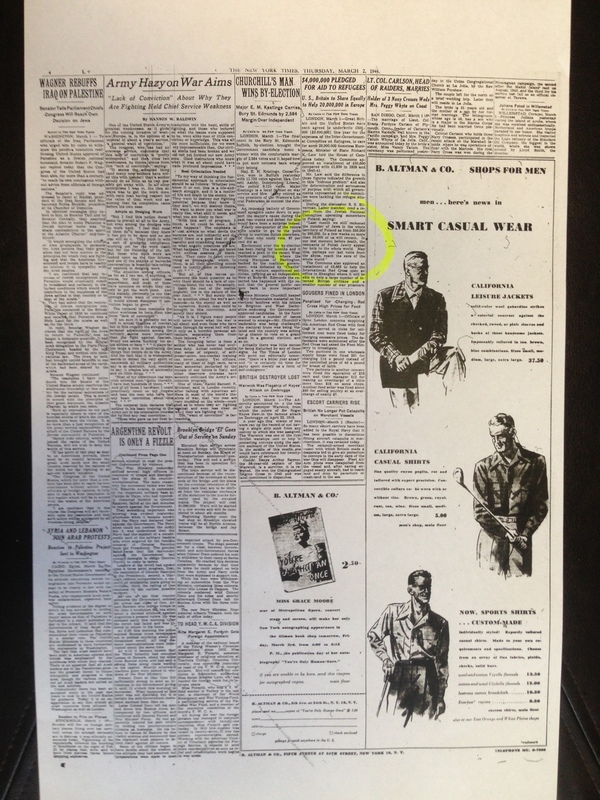 “If it was true that a million people had been killed this clearly should have been front page news; it did not, after all, happen every day.” Therefore, as a means of compromise, Laqueur thinks that the newspaper would choose to place articles deeper into the paper until their facts were verified. This would help those interested in the Holocaust to keep tabs on the news without creating a sensation among the rest of the populace based on figures that were conceivably undependable. Be that as it may, the stories themselves were very detailed and attributed their information to ‘reliable sources’ including both Allied and Axis governments, Jewish organizations or eye witness observations. Furthermore, even after the information was solidified and there was no doubt as to the veracity of the data, there was no discernible change in the amount of Holocaust-related stories in the Times3. This trend muddles the idea that the relatively small amount of Holocaust articles can be explained through little or potentially inaccurate information. Instead, Leff offers a different explanation that echoes familiar arguments made by Adam Jones. The reason the Holocaust was infrequently front page news was because of a gap between acknowledging and understanding the horror of genocide. The “credibility problem,” as referred to by Leff, is made up of four processes: “receiving information, assessing its believability, determining its importance, and relying on it to take action” (Leff 331). Each of these processes leaves room for doubt, distancing and impersonality. The concept of the Holocaust and the degree to which the Nazis went to eliminate Europe’s Jews shocked many reporters, almost to the point of outright denying the claims made by relatively reputable sources. Furthermore, for each person who handles the story, there is another degree of separation from the actual events occurring. Considering that there are several people that handle a story before it would make its way over to the United States, there is a large gap created that creates a significant distance for both American editors and the American reader. While a claim that a million Jews and counting are being killed in Europe is tough to ignore, it is a difficult thing to internalize and understand for a person who is both figuratively and literally across the globe from the events. Second is the mental and physical distance required to transmit news from the field to New York. Even for reporters in Europe, the stories of the Holocaust were difficult to verify and understand. Especially given the lengths to which German authorities worked to keep the Final Solution hidden from journalists, the concept of such an industrialized and effective process of genocide left many in a sort of fearful disbelief. This disbelief grew as a news story would be passed from reporter to editor as the story would seem even more chillingly outlandish and impossible. By the time an article would be delivered to New York for publication, it is difficult to convey the true sense of urgency, purpose and danger felt by those who were close to the events. Even for those who spoke with eye witnesses or had first-hand accounts of Nazi anti-Semitism could not adequately communicate the destruction and slaughter of the Jewish people. James Dawes wrote that by “giving voice to suffering we can sometimes moderate it, even aestheticize it” (8). What he means by this is that any attempt to communicate genocide will always shred some portion of the horror in favor of a story that is easier to digest. This is also the case when discussing news articles about the Holocaust. Despite the best attempts and intentions of reporters, publishers and editors, the true pain and threat of genocide is incommunicable. In the case of The New York Times, this lead to articles that were almost apathetically objective and failed the capture the spirit of the genocide, along with the attention of the editors and by extension the nation. Combined with this issue is distance felt by the American public from European Jews. Not only were American Jews somewhat peripheral to the general American consciousness, European Jews were even more separated from American society. This perspective was somewhat self-replicating, as news organizations such as the Times worked to maintain their reader base by writing about markedly non-Jewish stories. While the reasons for this decision may vary, the end result is that the American public would be less likely to consume news about Jews, which lead to news organizations not writing as many articles about Jews or the Holocaust in order to maintain their subscription quotas. 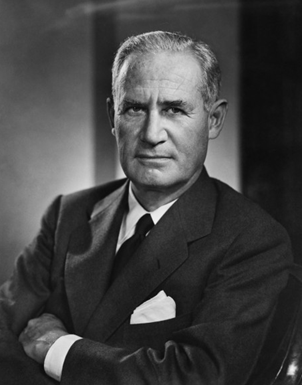 This problem was exacerbated by the actions of Arthur Hays Sulzberger, the publisher of the Times and the representative of the family who had owned the newspaper for close to four decades. Sulzberger’s father-in-law, Adolph Ochs was a Jewish immigrant from Germany, and Sulzberger had worried about the Times being considered a newspaper exclusively for Jews since their family had bought the organization in 1896. As a result, Sulzberger’s intentions with the Times was to make the publication as objective as possible in every regard. He resented the concept of his work being dismissed in implicit anti-Semitism, and took several steps to ensure that his religious affiliations would remain entirely separate from his choice of articles for the Times. These precautions were often well merited, as Sulzberger would receive frequent letters concerning the inclusion or absence of Jewish news in regards to his own beliefs. To this end, Sulzberger would reject letters to the editor that explicitly spoke of the rise of Nazism in Germany, growing anti-Semitic policies, and the eventual elimination of European Jews. While the news of these horrors certainly weighed on Sulzberger, the pressure of reporting on the plight of European Jews could discredit the Times as a reputable news source; a distinction that would ruin Sulzberger’s livelihood as well as his only means of assisting those in danger. As a result, the Times’ stories were often written with compensation so as not to seem overtly pro-Jewish, and implicitly led to articles about the Holocaust being buried deeper into the paper. Though the Holocaust was arguably given improper attention during the war, the horrors of the genocide became a reality as the war concluded and concentration camps were liberated. One camp, Buchenwald, was liberated by U.S. troops on April 4th, 1945, almost a month after Victory in Europe Day. Buchenwald became a macabre testament to Nazi aggression during the war. Poetically enough, the former prisoners of the camp spread their stories to any who would pass by, including journalists, soldiers, civilians or dignitaries. With this increased attention, tours became more commonplace, leading to stories that were corroborated not only by survivors’ eyewitness accounts, but by the (relatively) objective eyes of western actors. The tours impacted visitors so strongly that Generals Patton and Eisenhower “ordered every soldier in the area not committed to the front line to visit the camps. 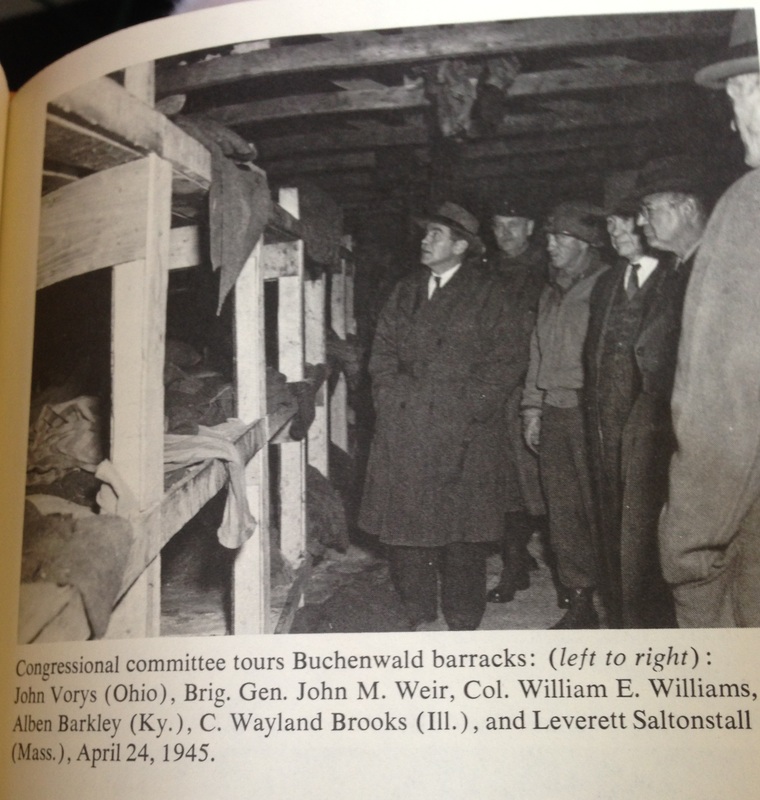 So few Germans admitted to knowing anything about the camps that American officers in charge made it a practice to force local citizens to view them… Congress quickly chose a bipartisan join committee to tour the sites of the camps” as well (Abzug 130). These visitors also gained the attention of both newspapermen and radio broadcasters. This renewed interest in the investigation of the Holocaust brought it to the forefront of public consciousness. Congressmen worked to show their findings to the public, either on ethical grounds or in order to advance their political careers. ‘Discovering’ the Holocaust and being one of the first to condemn it proved to be largely beneficial in maintaining popularity polls. Soldiers who returned home after seeing the camps also played a significant role in illuminating the Holocaust. Even for those who did not tour Dachau or Buchenwald likely heard of the camps by word of mouth, and bore the considerable burden of having witnessed what remained of the victims after liberation. The stories and photographs that the soldiers brought home after the war were instrumental in conveying the emotional impact of what had occurred. Even modern interviews encapsulate the astonishment and horror of eyewitnesses (If the video does not work, follow this link: http://www.youtube.com/watch?v=zu7k9dsbmHU). Why is it that these reports of the Holocaust carried such weight for the American public? The best explanation seems to be that the genocide was not truly understood until it was experienced. Despite news reports and viable sources, the concept of the Holocaust was notably distant from the American consciousness. However, once the story was recognized and understood, it took on a more important meaning and held more weight. We have discussed how it is impossible to truly know what genocide is until it is experienced firsthand, due to the unthinkable level of violence and suffering. This is exemplified by the American response to the Holocaust after the liberation of concentration camps. The more realized and palpable the atrocity, the more impact the story has. Certainly, the video above would have still been important and useful if converted into text. The man’s words themselves would have been important and mentionable. However, it is the presentation and the way in which speaks that conveys the emotional impact of the event to the viewer. The same point can be made about the American populace. During the war, the Holocaust was perceived as an uncertainty or as potential propaganda with unsubstantiated evidence. After the liberation of the concentration camps and the popularization of the tours in Buchenwald and Dachau, the story of the Holocaust became a reality. Veterans would share the experiences and radio stations would air interviews with those who experienced the camps. Politicians would work the genocide into their platform and show newsreels or films of the camps. The Holocaust transitioned from an afterthought on page four to the center of public attention, largely due to the emotional impact of seeing the atrocity with your own eyes; or in the case of American civilians, through media or by listening to witnesses. In essence, the coverage of the Holocaust by media such as the Times is a demonstration of the importance of perspective. 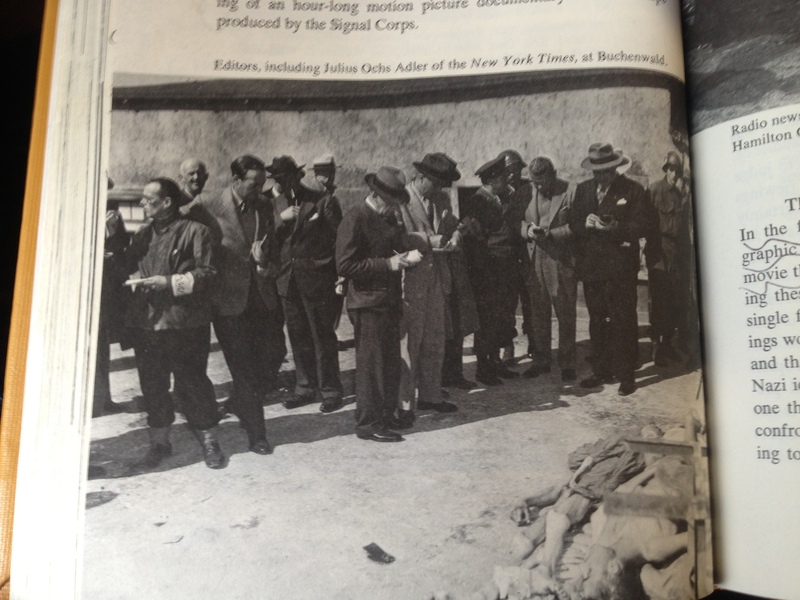 Before American troops actually liberated a string of concentration camps, information on the genocide was hardly present in media or any other mentionable form of public communication. However, once troops, journalists and legislators see the camps with their own eyes, hear the stories themselves and internalize the atrocities, the story of the Holocaust becomes mainstream and popularly understood. Granted, it was not as if a soldier took one look at Buchenwald and suddenly the entirety of the U.S. sympathized with the victims, but the major turning point in the western narrative of the Holocaust was when people had tangible, intimate proof of how people suffered. As such, our understanding of atrocities, or even history as a broader field, is contingent upon our ability to relate to what is learned. Understanding the world from the relevant perspective could mean the difference between the front page and the fourth; that is, the difference between being heard and being forgotten. Abzug, Robert H. Inside the Vicious Heart: Americans and the Liberation of Nazi Concentration Camps. New York: Oxford UP, 1985. Print. Leff, Laurel. Buried by the Times: The Holocaust and America’s Most Important Newspaper. New York: Cambridge UP, 2005. Print. Jones, Adam. Genocide: A Comprehensive Introduction. London: Routledge, 2006. Print.